The annual benefit competition and performance grew in 2017, featuring twelve inspiring youth artists and donated over $50,000 to local charities. Over 100 contestants submitted entries in 2017, and finalists performed in front of a SOLD OUT 660-seat theatre. Notable press from the event includes Boston Globe, Portland Press Herald, Portsmouth Herald, iHeartRadio, and several local newspapers. theatre, it has earned the title of “America’s Foremost Summer Theatre” and is one of the last of the great Summer Theatres from the Straw Hat Circuit still producing traditional live musical theatre. The Ogunquit Playhouse Scholarship Fund provides theatrical training for students with need in a supportive and nurturing environment. The Ogunquit Playhouse Children’s Theatre Camp for students age 5 to 18 is designed to identify, strengthen and enhance each student’s performance skills, self-esteem and self-expression. Students receive training in dance and choreography, improvisation, acting, staging and vocal work while preparing to perform before a live audience on the Playhouse stage. Each of the sessions culminates in a fully staged production on the Playhouse’s main stage! 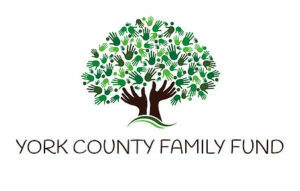 First Parish Outreach and the York County Family Fund gives direct financial aid to individuals and families in York County who find themselves in immediate and often unforeseen need of critical financial assistance. Zebra Crossings’ mission is to enrich the lives of youth with chronic medical conditions by fostering greater self-confidence, a sense of independence and a desire to realize their full potential through fun and engaging enrichment programs that build a strong and caring community support network for families. Zebra Crossings was founded on the belief that young people need to have opportunities to feel empowered in a safe and supportive environment that allows them to learn new skills, to explore their values and beliefs, to feel a sense of belonging. These opportunities help shape their thinking and attitudes. Positive experiences away from home will help them gain a sense of independence and self-esteem. for adult and pediatric cancer care and research to improve the chances of survival for cancer patients around the world. 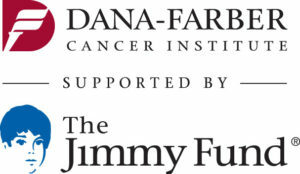 Since its founding in 1948, the Jimmy Fund has raised millions of dollars through thousands of community fundraising events. The story of the Jimmy Fund is one of grassroots involvement — of thousands of people organizing bake sales, lemonade stands, runs, walks, golf tournaments, dances, and softball games to raise money for cancer research and care. The funds raised through New England Sings will be earmarked for pediatric cancer patient care and research. New England Sings (NES) 2016 was Inspired Nation’s inaugural event, showcasing the talent of fifteen aspiring young artists and raising $40,000 for IN’s local charitable partners. competed for cash prizes and a mentoring session with KaraDioGuardi at Converse Studios in Boston. Berklee College of Music also provided summer sessions scholarships for some finalists. With only six weeks notice, NES put on a spectacular community event, showcasing fifteen talented vocalists and raising $40,000 for five New England charities by selling out the historic Ogunquit Playhouse. The 2016 winner, Lexi James, received $500, a recording session at Converse’s Rubber Tracks studio in Boston with former American Idol judge Kara DioGuardi and a Berklee College of Music online songwriting scholarship. The runner-up received $250 and a Berklee College of Music Summer Sessions scholarship. Finalists received Converse sneakers. All proceeds from our 2016 event benefited the following charities. “New England Sings helped many families living on the edge in York County, ME. Greater Seacoast area of New Hampshire and Southern Maine. York area youth and chaperones journeyed to Frederick, MD for a weeklong work camp. Hosted by First Parish Outreach, participants repaired and painted homes for people in need. These work camps include youth from around the nation who collaborate and develop group leadership and team-building skills to accomplish common goals. The trips are designed to help both the residents and the youth: by completing the home repair work and by showing the residents that someone cares about them; and by having the youth learn to reach out to others in need, both with their service and their compassionate interactions with the residents. The Ogunquit Playhouse produces five exciting Musicals each season, with performances Tuesday through Sunday from May to November. The Ogunquit Playhouse, a not-for-profit organization, remains unparalleled in its commitment to provide the highest quality musical theatre, with the best talent in the industry!